Bounce 2 The Moon was created for someone just like you. A true franchise opportunity that will allow individuals and couples to manage and run their OWN business. If you answered YES to any of these questions, then you are the type of entrepreneur Bounce 2 The Moon is looking for! 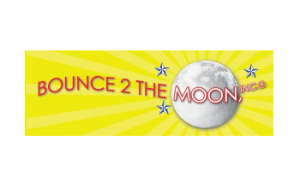 Why Bounce 2 The Moon? With Bounce 2 The Moon you can go into business for yourself without being in business by yourself. We are not selling you on an opportunity while we sit behind a desk like most sales people. With 13 years of hands-on industry experience, you will be learning from two people that have built their business from the ground up. We will teach you everything you need to know about running your own party rental business. We think it is! The party rental business is booming and 2018 is your opportunity to shine and become a leader in business for your community. Contact us below and get started today! We are here to help you eliminate years of trial, error and frustration by setting you up for success! Our management staff has over 55 years of service experience. We are dedicated to helping you achieve your business and personal goals. We know the process of looking for a franchise to purchase is time consuming. We appreciate you visiting our page, and if we can answer any of your questions, please fill out the form below. We are a bounce house party rental business. Your business will deliver inflatables, carnival games, concessions to backyard birthday parties as well as many other types of social invents. Request information below! Make 2018 The year you changed your Life.